Choose advanced comfort for an affordable price. There's plenty of gold for used buyers to unearth when it comes to shopping for used Citroëns. The brand has progressed well in recent years, so finding high-quality used Citroen stock isn't a problem. We provide a range of used Citroën cars at prices that don't break the bank, as our team scan the UK for the latest, greatest models and hidden gems. Whether you require a new family car, or if you're looking for an eco-friendly addition to your garage, we've got it covered. The used Citroen DS3, C3 Picasso and C4 Picasso ranges have attracted hugely favourable press, so they're a popular car for savvy used buyers. 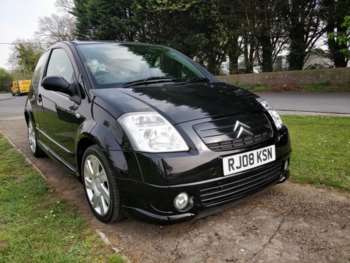 A promising hunting ground involves the used Citroen C5, especially in its estate guise. Sometimes there's no substitute for a big, comfy, well-finished estate car, so the C5 is about as good as it gets. With clean 09-plated 2.0 HDI VTR+ models retailing at around £7,500, why would you look elsewhere? The big Citroen C6 attracts a cult following for its TGV chic, but £10,000 will get you a low mileage 2008 car in Lignage trim with the lovely 2.7-litre HDi diesel engine. There's no need to doubt the quality of the brand either. In 2017, the Citroen C3 won the What Car? Car of the Year Best MPV award. The Mumii Family Awards also nominated Citroen for the “Best Family Car Brand” in 2017. The French manufacturers are based in the quaint commune of Saint-Ouen and were established back in 1919. The brand quickly rose in popularity, before its main production facility was bombed twice during WW2. That didn't stop them, however, and after the war ended, they resumed production. They're currently known for their affordability, reliability and unique appearance, as their vehicles suit all types of people.